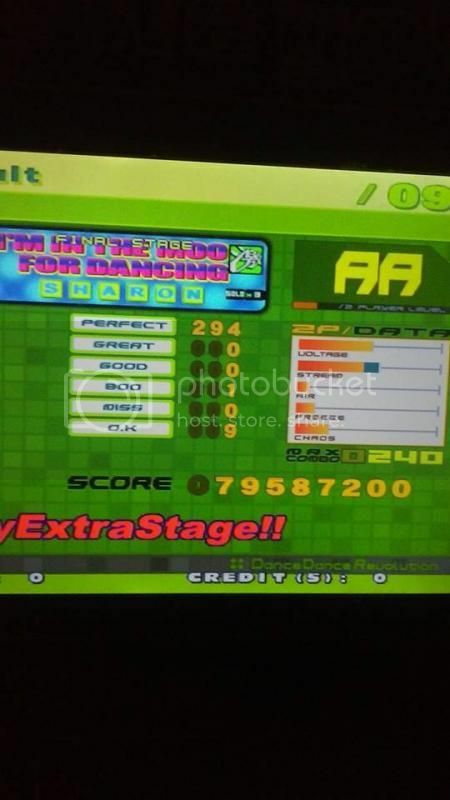 im moving to portland from long island in a month or so is there anywhere in portland i can play itg2 or any of the newer ddr mixes? that would be so solid if there were more rhythm gamers in the area. I dont really expect much of a iidx scene, but if there is thatd be even better! Sadly the Portland music gaming scene is not very big anymore. I think Big Al's in Vancouver or Beaverton is going to be your better bets. And check the latest posts here in the Oregon forum to see where activity is. Maybe ask AndyBurns. He might know the area well enough to give you some recommendations. So I hate to break it to you but there are pretty much no "new" games around. In downtown Portland there is a retro arcade with an extreme that is constantly in a 6 to 7 condition. Two of the last remaining decent arcades with 4 panel games just shut down. There are two Big Al's locations one in Beaverton and one in Vancouver Washington. Vancouver has a nice Infinity and an older SN2. 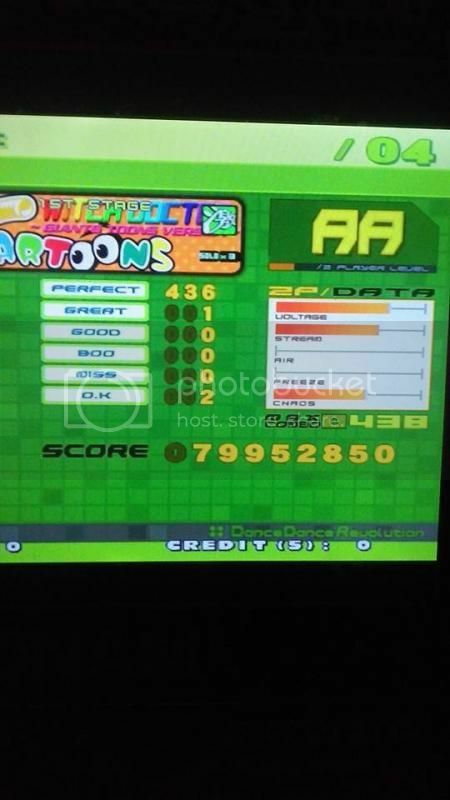 There is a DDRX2 rumored to be upgraded from a X cab in Beaverton at some pizza buffet but you have to pay for the food to get in, never actually been there so I can't speak for the condition. Lastly there is an Extreme that's fairly decent in Hillsboro, and by decent I mean the pads are sensitive enough but they feel like craters. There are 5 privately owned cabs running in the area and two currently not. Obviously you'll have to break into the scene to find out more on all that. Long story short there is no X3/2013 in the Portland area even by private owners and no public ITG. Glad to see another IIDX player join the forums here. Although, you'll have to travel far outside of Portland just to play it in an arcade (unless you have the console games). 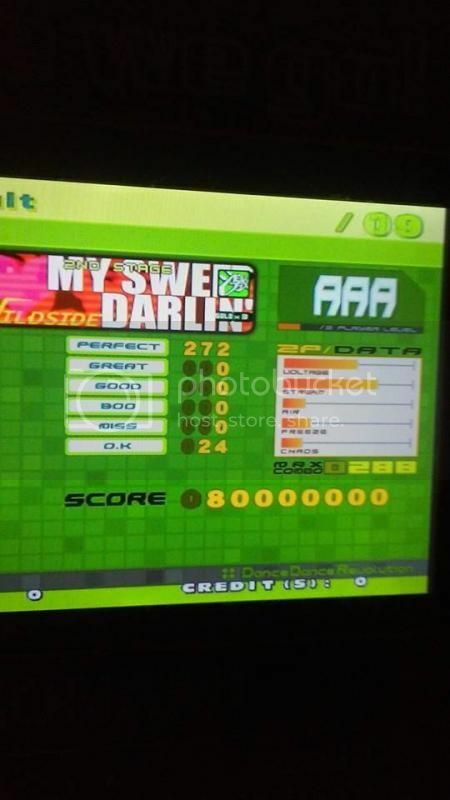 You mean there is a DDRX2 confirmed there. It's been a long time since I've been there, though, so I can't speak for the condition either. There's an Infinity at Vancouver Big Al's? It's a fiesta EX cab running Infinity. It's really darn nice. me again! will anyone be around portland next weekend? im flying in on thursday and will be there till sunday and im definitely going to try to check out all the surrounding arcades and such and wouldnt mind playing with any locals! ill be moving there in late september. bemani heads, lets kick it! just hit me up on a PM when you get into town and i'm sure i'll be able to meet up at some point. 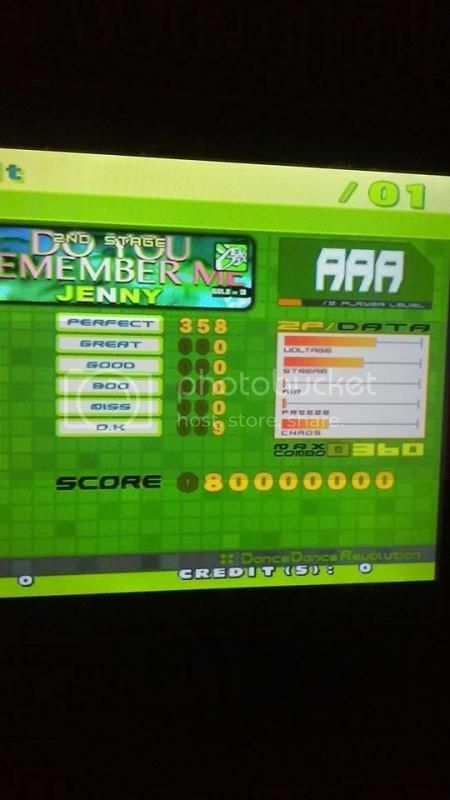 may be worth noting that gk now has an lcd screen on ddr ex which makes it really hard to pa/ma. What about Guitar Freaks or Drum Mania? Any of those games around Portland? beaverton wunderland MAY still have gf which has a VERY GOOD right side, the only dm in the pdx metro area was an ailing first mix at avalon. mckee industries dumped a lot of their bemani a while back though: they no longer have ddrs at any location so i wouldn't get your hopes up too high. So honestly Ground Kontrol was pretty chill, I know the person doing pad work and she's done a great job with the right side and the left will be fixed up this week. The monitor does have SLIGHT lag but it's nothing compared to an american X machine. That said, if you can AAA on one of those this will be a breeze. I had almost no issues except to say that the machine gets hard to hear once the overhead music kicks on which is why I went right at noon when it opened and was most quite for a good 2 hours. Oh man, that's rough. I've been trying to plan out my birthday and it's between Portland and Sunnyvale, CA (because I know they have my games). Thanks for the heads up! there's definitely no more Guitar Freaks at Beaverton Wunderland. They closed the old Beaverton location down and moved to a new one and it was definitely not there. There is a Dave and Busters that just opened up in Happy Valley next to the Clackamas Mall. There is a brand new Fiesta 2 and it plays really well. Thanks for the update! I just added a thread for it on the forums.